Write hostage on the board, elicit its meaning meaning, other forms and synonyms: To take hostage, To hold hostage, Prisoner, Victim, Captive. In groups students discuss any hostage situations they have seen on films, and the motivations for them. Feedback open class and board any emergent language. Tell students they are going to watch a 30 second hostage situation clip without the sound, and ask them to concentrate on the events so they are able to recount together what happened. Play the M&M Eat the hostage Commercial without the sound. In groups the students discuss what happened in the advert. Open class students share their ideas to ensure all students have the information and the stages of the hostage situation can be boarded. Play the YouTube clip again without sound, for students to check back their ideas. In groups students write the script for the M&M Eat the hostage Commercial, and rehearse together. Students perform their hostage commercials with their own script in turn open class. Non performing groups and teacher enjoy the viewing! 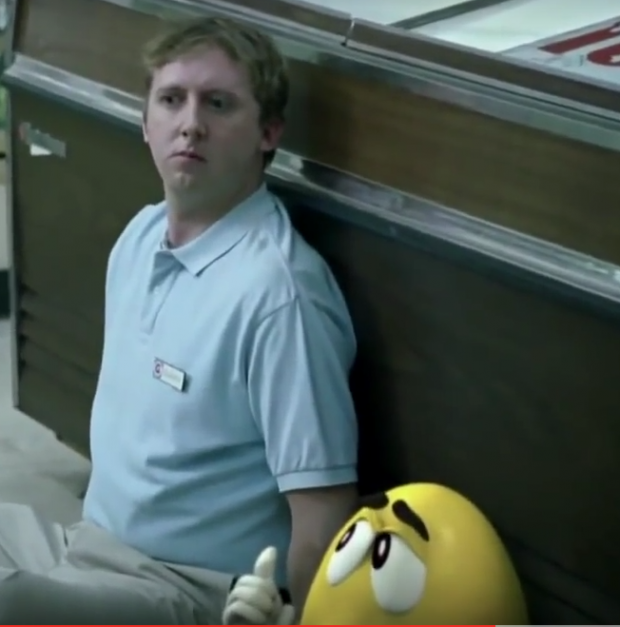 Play the original M&M Eat the hostage Commercial for students to hear the original script.